The new Tile app and Bluetooth tracker offers several improvements over the first-generation product, including the ability to locate a missing smartphone and higher location-notification volume. On occasion, my car keys grow restless. So they break out of their bowl by the front door and hide, snickering as I frantically hunt for them. Tile, especially the new second-generation version, helps me wipe the smirks off my keys' metal faces. Tile is a white, square Bluetooth tracker that's about the width of 1.5 postage stamps and the depth of three stacked quarters. It slips easily onto any keychain or can be placed in other places, including purses or backpacks. 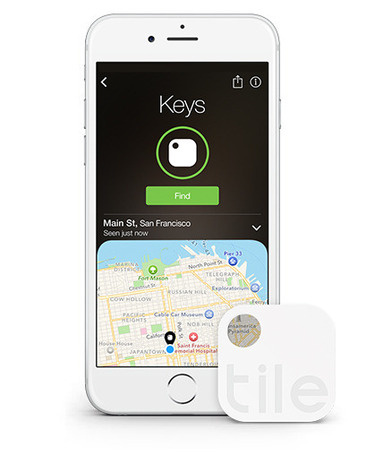 After pairing Tile with a smartphone, you can use it to locate your keys by tapping the associated "Find" button in the Tile app, which is available for Android and iOS. The command prompts Tile to play a little ditty, so you can hunt down missing items using your ears. In past versions, Tile's volume level was low, so you couldn't always hear it. Thankfully, the second-generation Tile's volume is noticeably louder at 97 decibels, compared to the 67 decibels of the first Tile. Tile works via Bluetooth at a range of about 100 feet, according to a Tile spokesman. So what happens if your keys go AWOL while you're away from home? That's when the "Community Find" feature is supposed to kick in. If another Tile user comes within range of your missing Tile, an anonymous update of your Tile's location is automatically sent to the Tile system. In theory, this should help you locate your Tile on a map using the Tile app, but I haven't tested the feature. The second-gen Tile has another neat trick up its sleeve. Tapping the "e" button on the Tile two times makes a missing smartphone play a short, loud tune loudly (regardless of your phone's current volume setting). It's a quick alternative to Find My iPhone or other phone locator services. And it's faster than dialing your missing phone's number (provided you have the Tile within easy reach), which won't work if your phone's ringer is disabled. 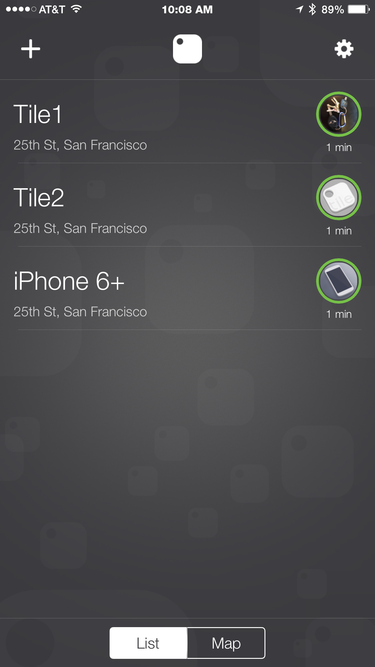 You can log in to the Tile website to try and locate your lost phone (or tablet) on a map. It's also a good idea to get your significant other to download the Tile app to his or her smartphone. Then, if your phone goes missing, your SO can look for it using the Tile app on his or her phone. Tile’s second-generation device is notably improved compared to its predecessor in all but one area: size. Frankly, I was hoping the new Tile would be thinner, but it's the same form factor as the first-generation Tile. "Tiles are designed to be clean and modern, yet need to be durable and have the most useful possible functionality," said a Tile spokesman. "While the hardware will stay the same in order to maintain that functionality, Tile is always exploring ways to make the hardware more useful and we understand that means smaller for many of our customers." Not surprisingly, Tile has competitors. TrackR is a bit more expensive ($30 for one) than Tile ($25 for one). Buying in volume helps a little, though: four TrackRs cost $90 (versus $120 at full price), while four Tiles cost $70 (compared to $75). TrackR uses a replaceable coin-cell battery that the company says lasts about one year. Tile's internal battery also lasts about a year but isn't replaceable. However, the company says it will replace your spent Tile with a fresh one at a discounted rate. At any rate, you won't lose much money if you spend $25 on a Tile — and you just might find those mischievous keys.